You know I am all about my workouts and fitting them in NO MATTER WHAT. You know I do it for my sanity. And, for the longest time after baby #2, I could not figure out how in the world to make it happen. After quite a bit of trial and error (not to mention a gym contract gone bad), I found my "place" with a fitness routine that works for me. But, my plan may not be yours - our lives are different! My goal is to share ideas so you can see just how mentally beneficial fitness can be for the tired mama. Time is the number one reason why moms do not work out. If you had time to do something for you, you'd be fast asleep or parked on the couch watching a Real Housewives episode. And, I do those things too - I just schedule time to workout; I find time each day to MOVE. With my boot camp now down to one night a week, I have increased the at-home workout plan. This week, Beachbody released it's latest workout - 22 Minute Hard Corps - and I've worked it into my weekly routine. TWENTY-TWO MINUTES. I am digging this one for sure. But, what else is there? When can you get your heart rate up each day? You work; you are tired; your kids have activities every 5 minutes - when do YOU take a few minutes and workout? Recently, a former student (Hi, Linds!) posted a picture with celebrity trainer, Erin Oprea. 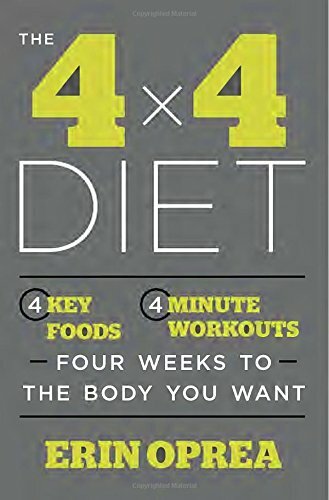 Erin released a book about getting your body where you want it in 4 weeks - including key foods and FOUR minute workouts. I am loving this book and her information. She is a busy working mom who gets it - she has found a way to make diet and exercise work in our overwhelmingly busy lives. Connecting to moms like Erin is why I love social media and why I'm learning more about healthy living every single day. While I am in the middle of this great book and my notes to make it work for me, I see a news story about Erin - with her client, Carrie Underwood, jumping in to defend this awesome mama. Here's the gist - Erin was at her son's soccer game when she decided to make her workout happen. What does she do? Grab her jump rope (smart idea - keep one in the car!) and gets some cardio in while watching her son play. And without knowing, a man snaps a picture of her and blasts her over the interwebs for trying to grab attention to herself, and thus, a debate erupts. But, here's my take - and it's a take I've had since I started sharing my journey almost one year ago - there is nothing wrong with taking time for YOU. I applaud Erin for using this time to stay healthy. The mom life is so crazy that we rarely remember to take care of ourselves so we can take care of them. If you have 30 minutes at your child's practice, grab the jump rope or walk/run around the field. Or try these ideas: wake up earlier - just 20-30 minutes and do something at home. Join a gym with childcare and take a class. Grab your neighbor and make one night a week your night to walk. Hit the park and do some step-ups while chasing the kids. Research local boot camps and try a free class. I am forever glad I did that. It can happen, friends! I am so excited to share her influence on me in just the short amount of time I've been reading and learning from her. And, coming soon, I will be sharing more amazing moms who have found a way to make health a priority. Now, excuse me...I'm going put a jump rope in my car. 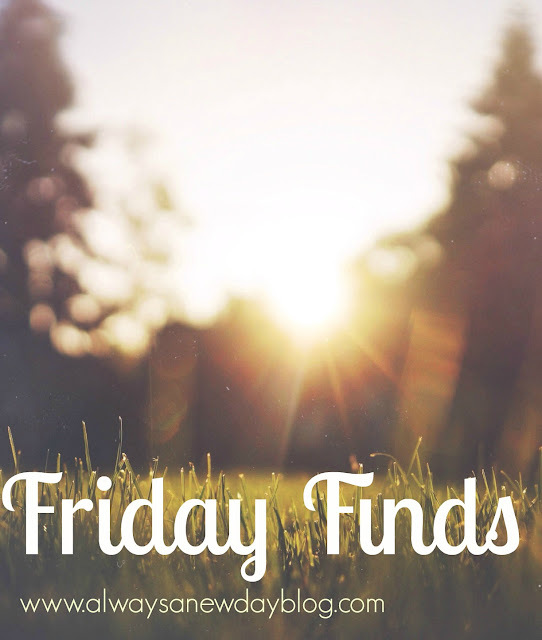 Have a great weekend, friends! this sounds sooo interesting!! Honestly a must for moms to fit it in when ever we can... sports games and all!! Take your time. I am a work in progress here! Thanks for reading! Great advice - thanks for posting!